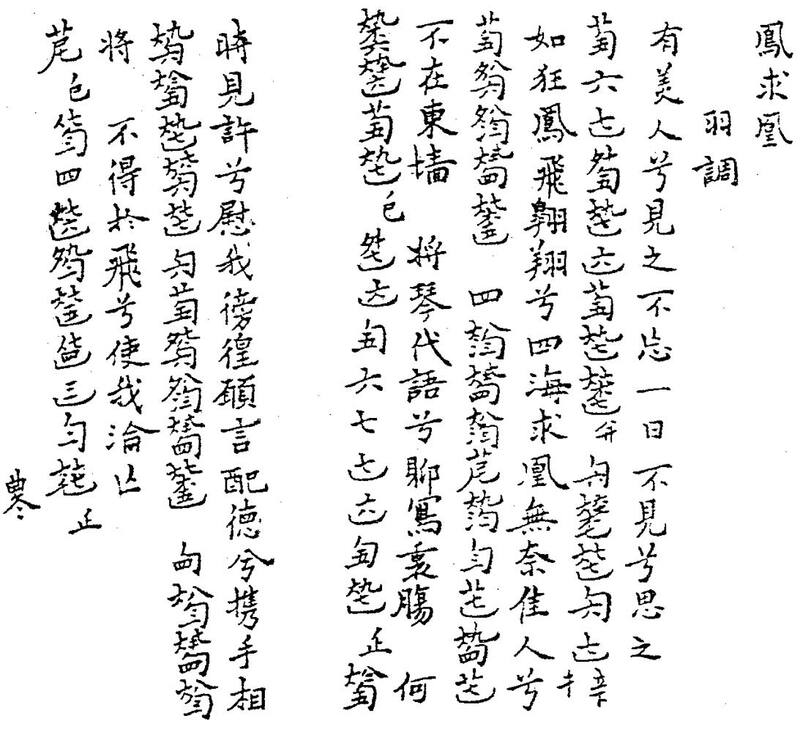 This handbook is a handcopied volume resulting from group efforts of qin players associated with the Hangzhou qin master Zheng Fang (Zheng Zhengshu). It should thus be grouped together with Youshengshe Qinpu. Chenbentang Qinpu has 27 melodies; two have two versions, seven have lyrics. 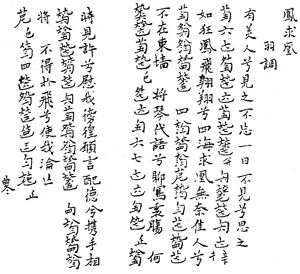 At front are a 琴叙 Qin Comment by 東海周遷 Zhou Qian of Donghai and a 琴譜叙言 Qin Tablature Commentary by 虎林鄭方 Zheng Fang (Zhengshu) of Hulin (1665); plus a 師琴叙 Commentary on Teaching Qin by 陸輅 Lu Lu (1666). Also included are several brief essays on various qin topics, all collected from the usual old sources. Only two melodies have brief commentary at the beginning; two have afterwords. Yousheng identifies them all as Zheng's tablature and they are all virtually identical (Da Ya has some inconsistencies). The QQJC edition of Chenbentang Qinpu came from the Shanghai Library.